Little baby girls are magical, and they should have a nursery to match! This stylish, yet sophisticated collection has the perfect palette dreamy pinks and soft greys with crisp white, featuring magic unicorns and sweet hearts. 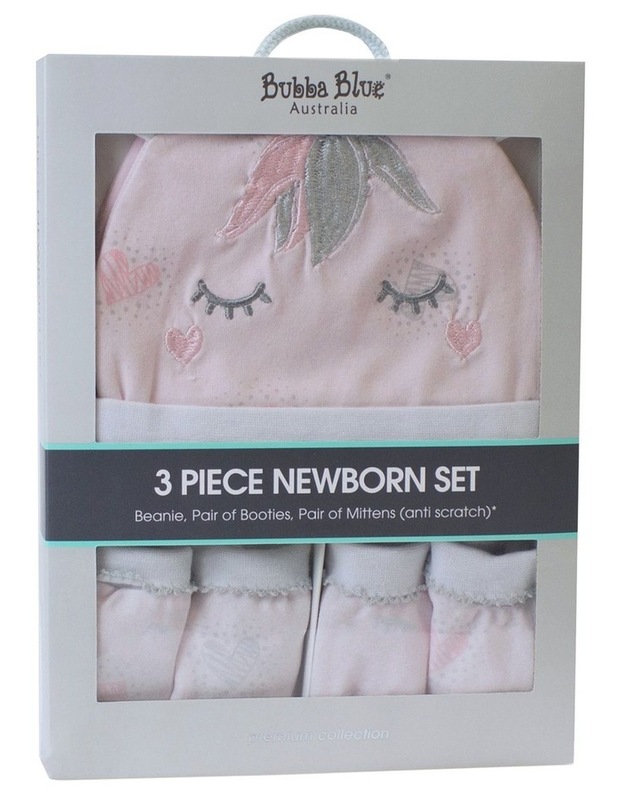 * This essential newborn accessories pack makes a luxurious and cosy addition to any nursery wardrobe. Perfect for taking your new baby home for the first time. * This Newborn Gift Set includes an adorable beanie with ears, booties, anti-scatch mittens. *Features magic unicorn in in soft shades of pink and grey.